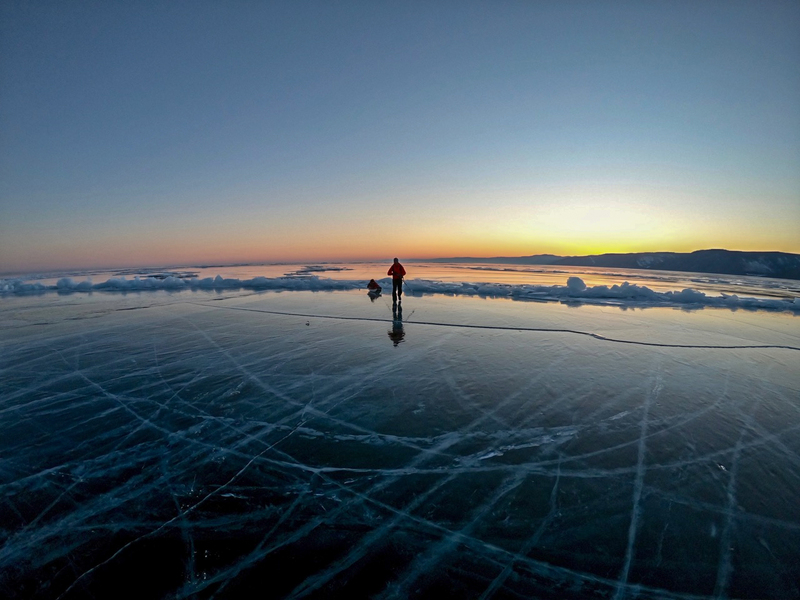 Sledding on Lake Baikal in Siberia has come to a close for the season. Most expeditions were unsupported, full-length crossings of the world’s largest lake by volume. Scott Gilmour (GBR) broke the speed record of 12 days 21 hours and 13 minutes that he and two other Brits set last year. He shaved 29 hours and 45 minutes from that previous time. Michael Stevenson (GBR) started with Gilmour, but had to withdraw after six days due to injury, around the halfway point (300km). “I thought it was all over with 35km to go.” said Gilmour, about a leg injury that he sustained right near the end. His solution was to walk backwards for long periods and also devise a makeshift crutch, although that disintegrated before long. Gilmour also had a spicy start, as a 4.6 Richter earthquake hit Baikal four hours before he set off. Tremors shook the ice for several days afterward. Mike Laird had perhaps the most eventful trip. Most people begin in the south, but he chose to start in the north in order to meet his companion, Rosie Stancer, halfway. She was doing the reverse journey. He couldn’t get either of his stoves working, and rather than accept a replacement stove, which would qualify as a resupply, he endured the entire expedition on cold snack food. He also fell through the ice twice during the early stages, presumably when fetching drinking water from leads, since he had no means of melting ice or snow. Near the end, the unfortunate Laird fell through the ice twice more and became completely immersed about 90km from the finish. He had to hurry for the small coastal resort of Listvyanka — the so-called Baikal Riviera — to dry off before continuing to the finish in Kultuk on March 25. 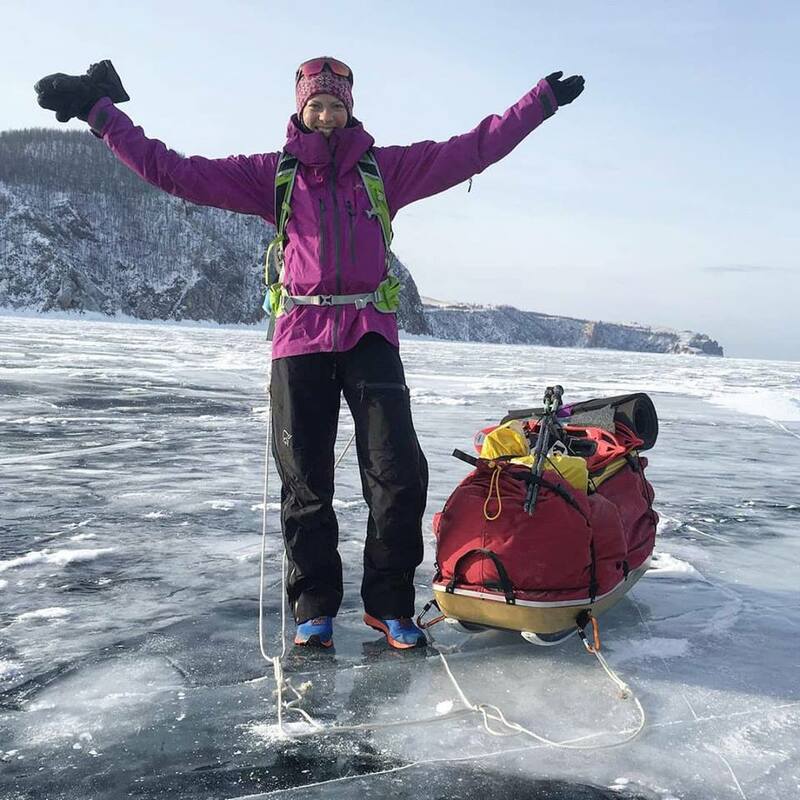 Gina Johansen (SWE) – Full-length crossing with some support — unscheduled refueling — from Kultuk to Severobaikalsk in 14.5 days. Rosie Stancer (GBR) – Full-length crossing from Kultuk to Nizhneangarsk in 21 days. 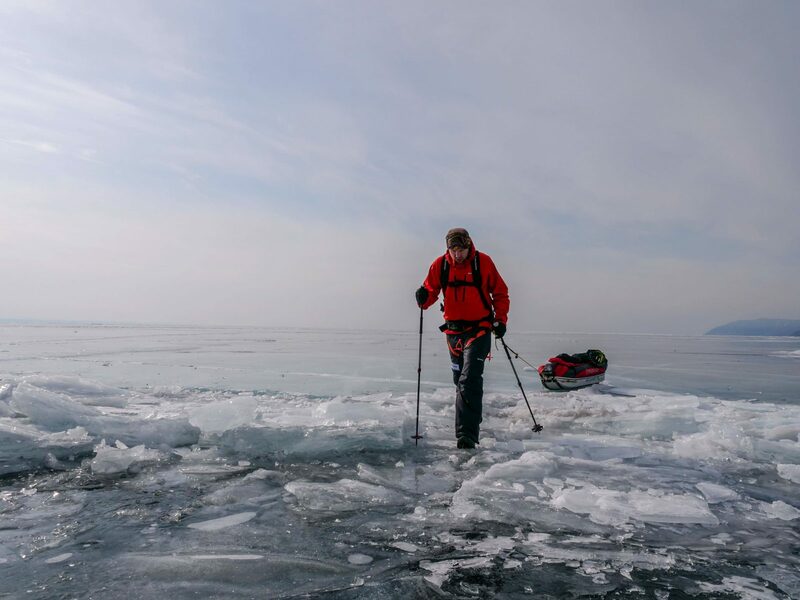 Mike Laird (GBR) – Full length crossing with some support — unscheduled overnight in Listrvyanka — from Nizhneangarsk to Kultuk in 25 days. Dan Born and Ladislav Smrz (CZR) – Full-length crossing from Sludyanka to Nizhneangarsk in 16 days. Rick Garrigan (USA) and Alicja Barahona (POL) – Partial crossing from Listvyanka to Severobaikalsk in 12 days. Chus Lago, Veronica Romero and Rocio Garcia (SPN) – Full-length crossing from Kultuk to Severobaikalsk in 24 days. Jose Trejo (SPN) – Partial Crossing from Ust-Barguzin to Kultuk in 10 days. 3 Comments on "Baikal Wrap-up: A New Speed Record, and a Record for Most Unscheduled Swims"
Loads of great stories from Baikal this year and was a pleasure to cross paths with so many great people on the lake.